What is there to do? I spin these doubting sounds (a voice, familiar but far off, “don’t trust me”), a shiver in this gristle; I can feel you creep into my private life and I don’t like you there. This I is influenza, all sneaking fevers, a contagious loneliness that can’t get out of its own body. Ever unrevealed, I feel lost in myself listening. I lie, listless. Connection could be myth. Communication might be fallacy. If I look at my hands, will I see things worth working? What hope is there in hands? A reminder, a mission: in doubt and loss, we turn to art, that most essential mechanism of relating tensions. Between inks and papers, sounds and ears, song and body, and hand and drum, our arts relate the space between individual maker and the community world that the maker exists in. An art of humanity proposes imaginary solutions to real-time crises. When we feel lost, it’s our hands that spark conduit, conduce artifacts to light homes out of our doubts. “We beg art to allow us to annex it into our lives in order to patch up our individual voids and our collective ones,” our own Adam Rothbarth wrote in reference to The National’s Sleep Well Beast . Like Adam’s words, like The National’s aching architectures of loss-renewing, art sketches not only our hopes, but a legend for how to hope. 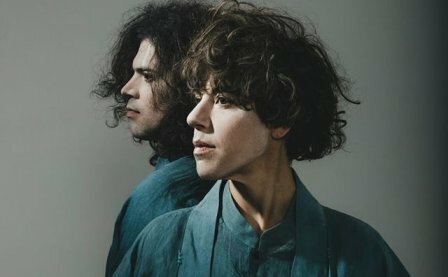 Tune-Yards, the pop project of Merril Garbus and longtime collaborator Nate Brenner, has largely existed as an able and energetic chronicler/challenger of that hope between void and annex. On 2009’s BiRd BrAiNs , they struck out in bold sharp lo-fi lines. “What if my own skin makes my skin crawl?” Garbus begs on “Fiya,” before admitting, with a heave, “You’re always on my mind.” Self- doubt/desire, a human body’s apprehensions, became a site for exploration, and 2011’s W H O K I L L was an incendiary, lighting it up and blowing it down, building on Tune-Yards’ percussive bass blasts but imbuing the project with a propulsive scale of self and community. On album-opener “My Country,” Garbus (with that voice) intones like Ginsberg before her, “My country ‘tis of thee, sweet land of liberty/ How come I cannot see my future within your arms?” It’s a devastating couplet with which to open an alternative pop LP, a mission statement for exploring the spaces between self and country and stick and surface: Tune-Yards promised percussion for introspection, a dancing for repair, not decadence. Sirens and gangs and Oakland woes and slick sax drops imbued W H O K I L L with immediacy and joy. Change is something to believe in, a thing grand enough to believe in if you want to get out of bed in the morning, if you want to sleep at all in these nights. Change is the measure of the space between annex and void, between maker and canvass. Tune-Yards have lived by the trajectory of change, a tightening of drumheads and a narrowing of scrutiny that has, until this point, led them to increasingly fertile and exciting sounds. Their fourth release is called I can feel you creep into my private life . It changes the sounds of the band from the bombastic elastic to the crouched minor. It changes the hopes of the band from boundless to restrictive. It limps, self-conscious and careful: who has a hand in hope, anyway? The story of the change is all over. 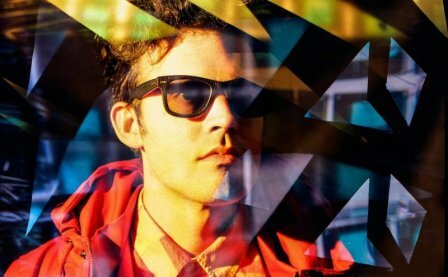 The Tune-Yards project underwent severe self-atomization and analysis, and the ensuing life-work yield is awkward, wayward, and flat. I can feel you creep into my private life is postured as a piercing of white privilege, the result of its maker (Garbus, it feels, in the songs and promotions, is still the loudest voice here) undergoing months of guided meditation race-awareness training to craft a statement of pop whiteness in the heady cloud of 2018 sounds. “Honesty” promises the meditative (“Close your eyes/ Get in touch with the physical sensations coursing through your body”), and “Now as Then” self-questions (“Oh, don’t trust me/ That I won’t take all the money and run”), and “ABC 123” bold-faces (“I ask myself, ‘what should I do?’/ But all I know is white centrality”). “Colonizer” is a clompy sort of pastiche that snatches the beats and bumps of past Tune-Yards compositions and debases them: “I use my white woman’s voice to tell stories of travels with African men.” None of those songs crackle or sneer. There’s no joy in the drop of lead single “Heart Attack,” just a bored, stern reminder that things aren’t okay. There’s no specificity in “Look at Your Hands,” no admission that an American peoples’ history is of mistakes and misappropriations, that we don’t want sanctimonious confessional so much as we want engagement with the previously unengaged. Whiteness isn’t a default and can only exercise supremacy against an other; in the absence of that other, whiteness assumes a supremacy that no one else has agreed to acknowledge. That no black voices appear on an album full of white-on-white engagement with whiteness isn’t surprising, really. It is disappointing. I can feel you creep into my private life ’s drums and rhythms are programmed and postured (likely the result of Garbus’s interest in learning to DJ), and the songs stretch and lay when they might be better served by snapping and cracking, like they do on “Bizness” or “Water Fountain.” An omission of self and stake, I can feel you creep into my private life lacks any self-skin in the game, claiming care but ending in the careful: in being careful to not to say too much, the songs spend too long saying nothing. In restricting her usually keen instinct for percussive word (the thing that hits) and voice in the world (the hit thing that resonates and echoes), Garbus and company have crafted a piece claiming grace that does not stick, by our ears or in our bones. Worse than that, I can feel you creep into my private life may actually fall victim to a-proportioned and appropriated evils it seeks to be supersensitive to. Like, shouldn’t an album hyper-engaged with white appropriation find some degree of trouble with calling a song “ABC 123” without ever admitting that the Jackson 5’s “ABC” exists already in the universe? Shouldn’t an album attuned to pop colonialism/white response find trouble with a despondent line like, “I ask myself, ‘What should I do?’/ But all I know is white centrality”? I can feel you creep into my private life doesn’t leave room for hope, suggesting that songs of pierced white privilege should remain segregated from the community they were written in light of. The sound ends with Garbus’s calls, “I’m free, I’m free; the end sounds with reminders, “Don’t tell me I’m free”, a careful hopelessness. A reminder, a mission: good people before good songs. By all accounts (and there are a lot of them; when self-improvement is subsumed in self-promotion, nobody feels good), Merril Garbus has undertaken a serious and severe attempt to chase what she views of essential self-work: she will see her white privilege at work, she will realize and re-realize the fullest extent of all her micro-biases, she will actually and really integrate her new consciousness into this world’s conversation. We the hoping and hopeless beautiful monstrous bodies on this spaceship Earth need more drive to self-awareness. An artist like Garbus’s restless voice and relentless self-pursuits remain essential in the year when Eminem and Three Billboards Outside Ebbing, Missouri remain the critical standard for white honesty. You can’t have care without being careful. I think it will get better, for Merril Garbus, for Tune-Yards, for us. The ethos has been “find a new way.” Good people and good work are the good things, the matter that keeps the whole web of making creating taking misusing celebrating a strong and brilliant thing. An ethos of making without a focus on carefulness brings us into abuse. 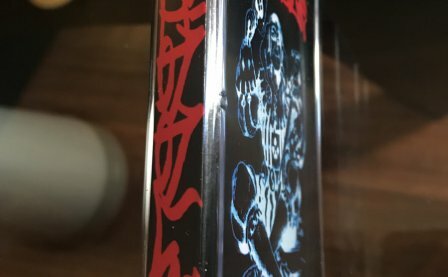 I’ve written too many words on this album probably: excess and time are part of my privilege, and like Merril Garbus, I’m trying to track that slippery vicious thing, trying to be human first and best. 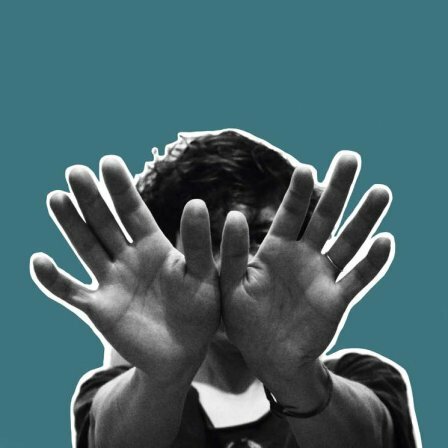 Should I can feel you creep into my private life have taken greater pains to use a heading of honesty over appropriation to address the as-yet unaddressed African influences of Tune-Yards’ white art? Maybe. “What if my own skin makes my skin crawl?” Is Garbus poaching Ladysmith Black Mambazo’s “Shaka Zulu” when she sings “reveal yourself, reveal yourself” on “Private Life”? 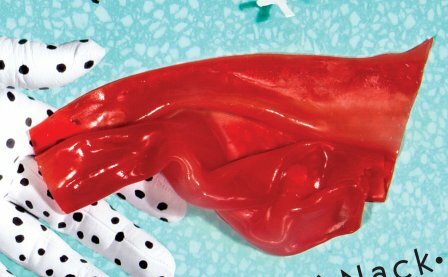 Maybe it’s not “not where you take it from, where you take it to” and maybe it’s more “not where you take it from, but that you give it back.” Tune-Yards sound afraid to give themselves back to the world in these songs. But there’s so much fear already. We need embrace, boldness. The soul of art, the mechanism behind hope and the bridge between our depraved voids and exuberant annexes, is community. Between maker and canvass, between artist and audience, community is forged and reforged, our best weapon against hate and loss. I can feel you creep into my private life takes great pains to cut itself off from the community, focusing instead on two singulars: the white artist Garbus doesn’t want to be and the white artist Garbus can’t help but be. In the highlights from the piece (a slinking “Now as Then,” a messy but breaking-through “Free”), Garbus suggests that the white supremacy we exist in isn’t exclusively damning to people of color. That statement, like I can feel you creep into my private life , has a hard time getting beyond a status of being supreme already, but it’s a messy stab at humbleness, a stab at piercing the problem of our age, the institutionalized hate we have to deal with if there is to be hope and dancing and pop music. On “Heart Attack,” she cries a little: “I’m only human,” and if that’s the standard we hold everyone to equally, we might find a new way to be humans first and best.